Kaal Bhairav is one of the most ferocious manifestations of Lord Shiva. Once Lord Brahma grew arrogant and egoistic. During those times he had five heads one on top of the four heads. Lord Shiva wanted to teach him a lesson and make him more committed and responsible to his task. Therefore he created Kaal Bhairav from his nail and thus Kaal Bhairav manifested as an incarnation of Lord Shiva. Kaal Bhairav is also called Bhatuk Bhairav. Kaal Bhairav moved towards Brahma and severed his top head with his nail. The skull of Braham also called as Brahma Kapala got stuck to his hand and this is depicted in the iconographic image of Lord Kaal Bhairav found in all temples. Kaal Bhairav’s vehicle or vahan is a black dog. Kaal Bhairave appears naked like a child and wanders like a mendicant. He is so easily pleased and blesses his devotees with wealth, health and prosperity. Kala Bhairava is an incarnation of Lord Shiva and the Devata of the Lord Rahu (Navagraha Planet). Kala Bhairava is also regarded as the guardian of Lord Shiva temples. Kala Bhairava is the Rudra Avatar of Shiva who is the omnipresent time or Kala. Kala or time is the fearsome face of Shiva as time stops for none. Each and every living being is afraid of time as it spares none. Hence Kala is feared by one and all. The Kala Bhairava Ashtakam was composed by the great philosopher saint of the 8th century, Adi Shankara. The Kala Bhairava Ashtakam is recited to make your journey through time or life free from troubles and dangers. The Lord Kalabairava wears the tiger skin and human bones and also wears the twisted serpents as his ornaments i.e, earrings, bracelets, anklets, and sacred thread. The celestial vehicle of Lord Bairava is the dog. The number 13 is auspicious for the Lord. The Ashtami (eighth lunar day) thithi of each paksham (moon / lunar phase fortnight), particularly in the waning phase (that is, Krishna Paksha Ashtami), is important for Kalabairava worship. 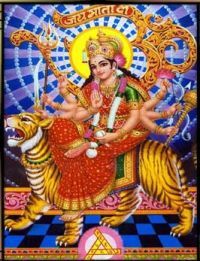 Kala Bhairava Ashtami, which occurs in December/January is an important day for worshipping the Lord. The Siddha secret that the Kuligai time of each day is ideal for worshipping Kala Bhairava.